Few studies have assessed whether patterns of resource partitioning among sympatric marine predators vary between different habitats. This type of data is important for understanding food web functioning as well as for supporting an ecosystem-based fisheries management plan. 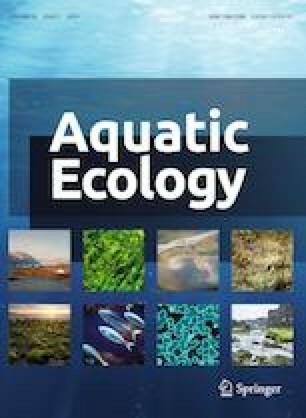 In this study, we used δ13C and δ15N stable isotope analysis to assess the relative isotopic niche area (i.e., which species has the largest and smallest isotopic niche area within a study site) and core isotopic niche overlap between 299 sharks of 11 co-occurring shark species that vary in size, diet and behavior in three coastal study areas in South Florida. Overall, results show that the relative isotopic niche area and patterns of core isotopic niche overlap between some sympatric shark species varied between sites, suggesting plasticity in resource use and competitive interactions between shark species (e.g., 85% of blacktip shark Carcharhinus limbatus standard ellipse area overlapped with the blacknose shark C. acronotus ellipse in Biscayne Bay, but there was no overlap between these species’ ellipses in nearby Florida Bay). Therefore, patterns of resource use and trophic interactions documented among species from one site may not be applicable to a neighboring location. These findings may have implications for food web models that incorporate trophic data from different areas for a species when local data are unavailable. The online version of this article ( https://doi.org/10.1007/s10452-019-09685-5) contains supplementary material, which is available to authorized users. The authors would like to thank the other members of author D.S.’s dissertation committee: Dr. Nicholas K Dulvy, Dr. Andrew R Binder and Gina Maranto. We would like to thank Robert Michener, the manager of author L. K.’s stable isotope laboratory, for his assistance with sample preparation and analysis and his detailed description of laboratory methods. We would like to thank Dr. Catherine Macdonald, Christian Pankow, Rachel Skubel, Emily Nelson and Jacob Jerome for their assistance with sample management and retrieval, and Lindsay Jennings for her assistance with the UM Shark Research and Conservation Program’s sample database. Sample processing fees were provided by more than 100 unique crowdfunding donors through the SciFund Challenge. The American Elasmobranch Society provided a student travel grant for author D.S. to present this research at the 2016 AES conference, and we thank the scientists who attended that presentation for their helpful feedback. Figure 1 was created by author NH’s masters student Abby Tinari, and we thank her for her assistance. This research was carried out under the following permits: University of Miami Institutional Animal Care and Use Committee 15-238, Florida Fish and Wildlife Conservation Commission SAL 15-0957-SR, Florida Keys National Marine Sanctuary 2015-168, National Oceanographic and Atmospheric Administration Highly Migratory Species SHK-EFP-16-02, Biscayne National Park 2015-SCI-0012 and Everglades National Park 2015-SCI-0011. The authors have no conflict of interest to declare. This work represents Ph.D. dissertation research by author D.S., who performed data analysis and writing. Authors M.H. and N.H. served on D.S.’s dissertation committee and provided guidance on the planning of this project as well as provided guidance on analysis and write-up. Author L.K. assisted with data analysis and write-up.